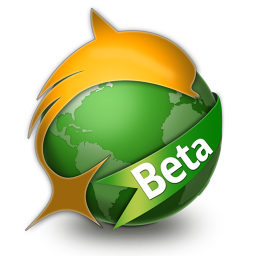 In a page taken directly from the Firefox playbook, the team behind Dolphin Browser have thrown the newest beta version of Dolphin HD into the market alongside the current stable version. This allows you to test out all of the upcoming features in Dolphin while they're still bleeding edge, without sacrificing the stability of the current version, as you can have them both installed at the same time. I'm not entirely sure what they were thinking when they chose that font. Naturally, the newest beta offers all of the things that you love about Dolphin, along with some added features, like Webzine - a feature that Dolphin claims "changes the way we browse the mobile web." If you love your software fresh-out-of-the-oven, go ahead and hop over to the Android Market or hit the widget below to grab this all new beta.